1. Name: Lutheran Church A.C.
3. Location: Bistriţa Municipality, Central Square, Bistriţa-Năsăud Co. The Lutheran Church in the Central Square, built in several stages, has become the town’s symbol. References to the church started to appear after 1430, although there is information about a previous, Romanesque phase. The original western elevation, in high Gothic style, had initially two corner towers, which were later partially demolished and the elevation radically altered. In two late Gothic stages, the church was expanded in the East and then transformed into a hall-church, respectively the choir was raised. The last stage, the late Renaissance-Gothic period dated between 1559 and 1563, when the gable of the western elevation was created, was marked by the activity of Petrus ITALUS DE LUGANO, a craftsman from Lvov. The late Gothic and Renaissance church furnishings are exceptionally valuable. In the 20th century, the church went through several conservation and intervention phases, the first finalised in 1926, according to the plans of Prof. Herman PHELPS from Danzig. The conservation at the end of the 20th century began with the consolidation of the western elevation and of the roof structure. Because of the limited funds, the consolidation and conservation works continued in smaller steps by replacing the damaged masonry stones, conserving the stone components, re-rendering the elevations and fitting new stained glass windows. 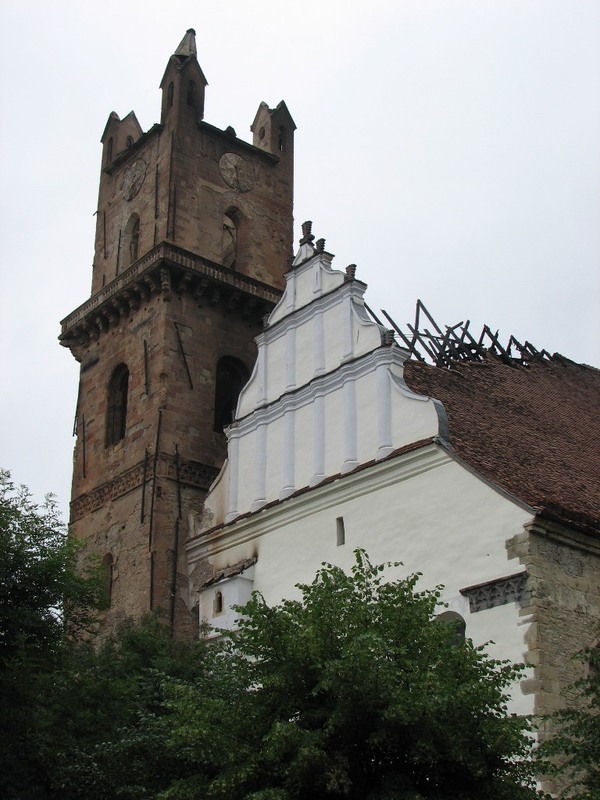 Between 2006 and 2008 was carried out the rehabilitation of the tower, more precisely the roof structure was consolidated and the roof covering was replaced, to be followed by interventions on the artistic stone components. This process was interrupted by the fire on June 11, 2008, in which the tower and part of the nave roof were destroyed. 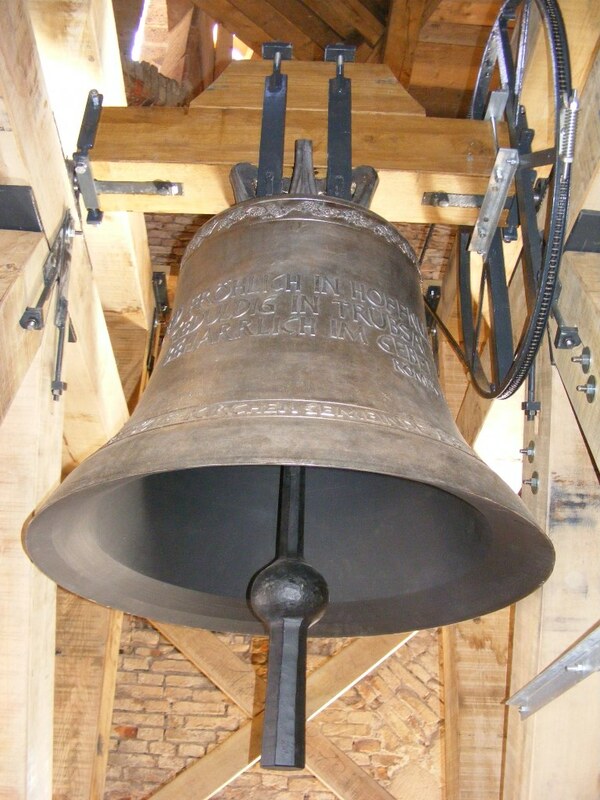 The fire determined the need for an emergency intervention, during which the tower’s roof structure and roof covering were reconstructed, new bells were cast, the nave’s roof structure was conserved and its roof covering replaced. The conservation of the stone elements and the re-rendering of the elevations followed; at present, an intervention is being carried out in the sacristy, where a Gothic window frame was recently discovered.